MLS# 190001467 - 2415 Catalina Ave, Vista, CA 92084 - Abacus Properties Inc. Courtesy of Willis Allen Real Estate, Steven Roth. Unique, gorgeous single story custom home situated on a private 1.09 acre corner lot on one of the best streets in Vista, with surrounding hill views. Newly remodeled with over $300K of quality upgrades including many new windows and doors! Entire exterior was just painted and the property boasts new 6 ft split rail fencing in front and back. Beautiful brushed travertine stone flooring in main living area, exquisite wood flooring in the office/bedroom area and vaulted wood beam ceilings. Please, send me more information on this property: MLS# 190001467 – $1,175,000 – 2415 Catalina Ave, Vista, CA 92084. 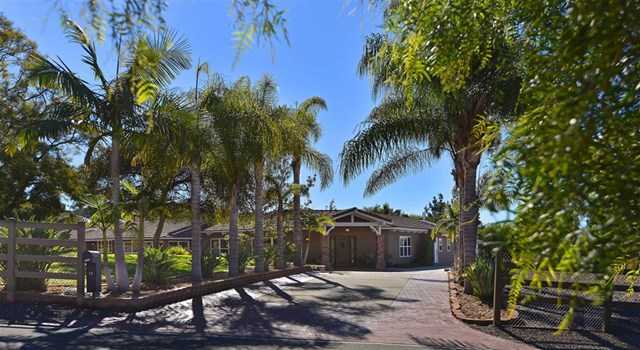 I would like to schedule a private showing for this property: MLS# 190001467 – $1,175,000 – 2415 Catalina Ave, Vista, CA 92084.